Sometimes, a picking operator simply does not have enough time to put-down and then pick-up a hand scanner each time they need to pick an item. 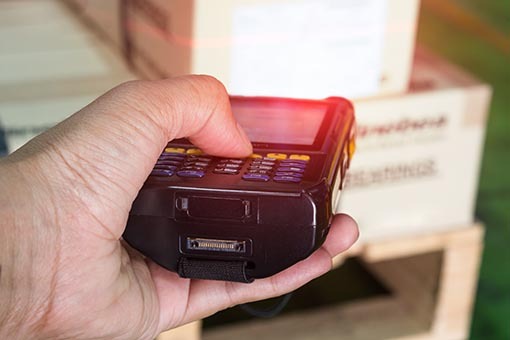 An example might be in case-goods picking where it is difficult to pick up a case with both hands, and then at the same time, try to scan the case or pallet/location label. This is very difficult and time consuming if you have many cases per pallet to pick. And, over long periods of time, your total labor costs and efficiency become problems. Therefore, voice picking has certain benefits when used where full "hands-on" picking is required. 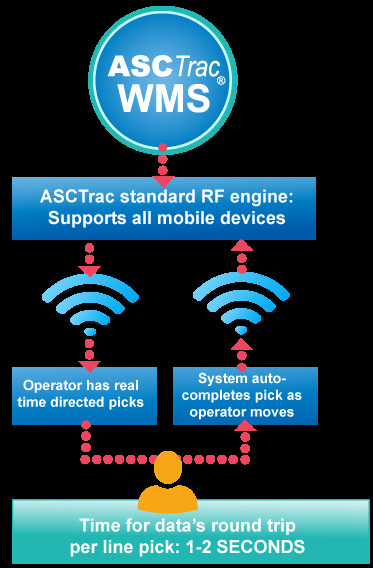 ASC has created a complete integrated process for voice picking inside ASCTrac® WMS. No interfaces are required - it's all in one application, and real time. All of this at an amazingly low cost! Uses the same devices for scanning that are used for voice saving the costs on hardware. Our integrated module means a lower cost and easier to implement. Using our integrated module creates a better pick process for items to be validated in real time, it is robust, easy to support, and provides the lowest total cost of ownership of any voice product in the industry. The ASCTrac® WMS Voice Picking Module simply makes good management sense when you need voice picking. Summary: ASC solves these challenges of the complicated multi-vendor picking systems by fully integrating our Voice Picking System inside ASCTrac® WMS products. This eliminates the need for any special voice system servers, no interfaces, no middleware, AND a much better ROI for your business. However, if you already have a Voice Picking system, we might be able to interface to it to preserve your investment.